There's already one Jackson 5 track in LEGO Rock Band. Not to be outdone, Konami has bagged two five Jackson Five songs. Karaoke Revolution will feature "I'll Be There" and "ABC" on the disc at launch as well as Jackson 5 pics and themes. But which game is going to get groovy Jacksons' songs like "Blame It On The Boogie" or "Shake Your Body"? Somebody license those and pronto. 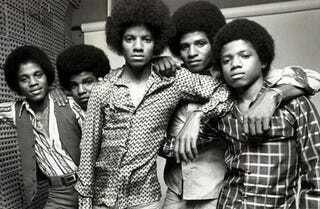 Update: Konami says five Jackson 5 songs will be available on Karaoke Revolution.